Best WordPress Hosting for any budget today is enterprise level servers of Rackspace, HP Cloud and Media Template. With Cloud Hosting the pricing is the winner. Rackspace, HP Cloud and Media Template has not paid us for this article to choose your Best WordPress Hosting. Neither there is no affiliate link within this article. Best WordPress Hosting means, it should be within a payable margin, havean enterprise backend, optional 24×7 UNIX experts for managed services – your web host will fix a problem before you ask or notice. Look at your laptop you are using – for over 90% users it is from a well reputed brand. You bought it for only one reason – reliability. While buying any product, try to read WikiPedia article about the company, CrunchBase for the profile and Public Shares. Public Share is an important indicator itself – many investors are depending on the company not without any reason. To get listed on any Share Market, it needs to undergo quite tedious paperworks. It is an indirect measurement of the Company’s Value. This Best WordPress Hosting guide not intended only for a smaller blog, it is for any level of user. If you are low in budget, we can suggest you fully free options from far better and reliable brands. They are quite good for a self hosted WordPress with zero to one digit budget. They are by brand far better than ‘so popular’ third class web hosts. If web hosting was so painful (apparent from wordpress.org’s forum questions by the users), needed moving every few months – think about the Enterprise level websites who does not have own server. Red Hat OpenShift, App Fog are very good options for a small WordPress website. They are Platform as a Service and as such can be regarded as Best WordPress Hosting from that niche. 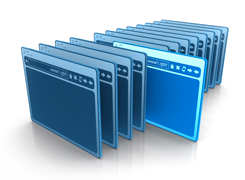 You will basically add one or few websites on your server, manage the files etc. Those purpose can easily be served with Command Line Interface and a SFTP client. cPanel is not Optimized for Load Balanced Cloud. If you do not understand anything about server, use WordPress.com’s premium features. It is better option who need just a basic blog. The backend is of Server Beach, which you can afford for a small simple blog. The better web controls (if you ever need) are Parallel’s Plesk (it is designed for virtualized servers) and an Open Source free good looking control panel – OpenPanel. Unmanaged Server : Costs $14 – $20 to start with. You can build your own server, charged is based on hourly usage. If you use delete after one hour, just few cents for a 4 GB cloud server. Managed Server : Costs $120 upwards. It is recommended for serious website because of Enterprise level support. Cloud Sites : It is a kind of Cloud Computing platform for CMS. Charge is $149 per month. It is managed, has a backend of $2000 / month setup, but you will not get root access, own IP etc. The 0.3% is not due to servers, it is due to complex DNS request process, Load Balancers etc. There is no web host that can make your domain running 100% up, 24x7x365 days. Wide support, very knowledgeable peoples for Managed services, secured payment option, updated Knowledge base makes Rackspace the Best WordPress Hosting provider. Most importantly, you can use CDN of Akamai (Rackspace Cloud Files), Load Balancers or upgrade later to own hardware (colocation hosting). There are other Hosting options which are not actually for medium sized WordPress website. HP Cloud is actually the mirror copy of Rackspace Unmanaged Servers from all aspects. The reason is, both uses Open Stack. Media Template Virtual Private Servers, High Performance Servers are gems. From huge good quality Knowledge base point of view, it is quite closer to Rackspace. Media Template Wiki is somewhat runs on community contribution. We honestly gave options for WordPress Hosting from zero dollar per month to few thousand dollar. All are the best brand on the real world. Do not ever follow the recommendation of WordPress.org for web hosting. They promote Laughing Squid, which is basically a reseller of Rackspace but the original company is not listed. Only Media Template is the better option among the list. As Google has no typical Hosting service, it is not an option. Amazon is a good web host, but the pricing is some what fixed. Do not forget to check the client lists of the mentioned companies. This Article Has Been Shared 1846 Times! Cite this article as: Abhishek Ghosh, "Best WordPress Hosting : Rackspace, HP Cloud and Media Template," in The Customize Windows, November 9, 2012, April 26, 2019, https://thecustomizewindows.com/2012/11/best-wordpress-hosting-rackspace-hp-cloud-and-media-template/.